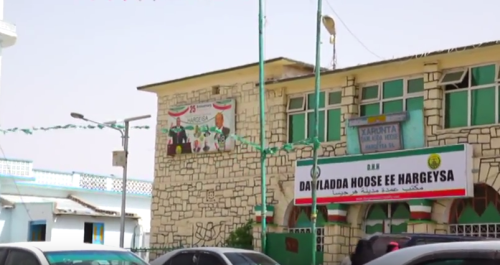 Hargeisa:(Dhaymoole News) The office of Somaliland Auditor General has closed some offices belonging to Hargeisa City Council for investigations following a misappropriations of public funds charges. According to information reaching Dhaymoole news some money safes were sealed by tamper proof stickers labelled ‘cannot be opened’. 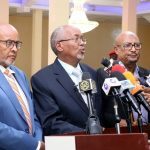 The Director of Investigation at the Auditor General Office Mr.Ali Sheikh Mohammed Ahmed said that the perusal of documents and receipts are their line of duty and should not raise eye brows. 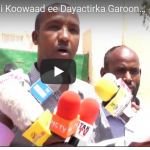 Somaliland National Television Network aired the auditor’s general investigators interrogating some local government employees. Speaking to the television station Mr.Ali stated that it was routine for their office ton check the books of accounts so that public money are not embezzled by rogue employees. The DG added that people should not misunderstand their goal of accountability by all public servants as a selective purge targeting a few individuals.